Posts categorized "Weddings by Song of My Heart"
It was my honor and delight to assist with the wedding of one of the pastors' daughters in our church this past weekend. While I was not the head coordinator for the event, I was able to help make the signage and several decor pieces that really helped personalize Alysha and Todd's special day. Their theme was burlap and cornflower blue, with white and blue hydrangeas, peachy peonies, and pale yellow roses. It was a simply gorgeous day for an outdoor ceremony, and although the breeze got a little rambunctious on us, everything went very smoothly. One super cute (and very thrifty) idea was to cover the folding chairs with a wrap made of a square of plastic tablecloth, folded into a triangle, placed over the chair back and the ends tied into a bow. It was a wonderful way to inexpensively camoflauge less-than-elegant seating. A local family with an apple orchard made the rustic wooden arch, and old dressers, wooden crates, windows, and antique sewing machine tables were cleverly used for little vignettes and for the guest book and gift tables. Under lead decorator Ann Bolton's supervision, we came up with a list of signs that needed to be made, and after a couple rounds on Pinterest, I took off running. We had burlap banners, canvas banners, kraft cardstock banners, and a even chalkboard pennant banner. I also made directional arrows, welcome signs, and stenciled, burlap-covered hanging boards over each food and beverage station. Both Ann and I brought multiple pieces from our own homes, like this free-standing chalkboard rack that I use for craft shows, and vintage frames and chalk-art signs from my kitchen. The invitations for the big day set the tone for the event, with kraft cardstock and envelopes and a hand-torn edge around the printed insert. A twine loveknot was the perfect embellishment, and a little cornflower blue ink sponged around the edges added interest. The room dividers that we used to help funnel the guests out to the back of the church towards the wooded area were the perfect place to hang some of the banners as well as photographs of the couple clipped to a twine clothesline. Ann made a huge number of burlap flowers, and the main centerpieces were Mason jars full of flowers with curly twigs, resting on disks of wood cut into thin slabs. Rustic wooden photo frames tied with twine accented the tables. I also made canvas labels for the beverage dispensers, and tags to tie around the Mason jars that held the girls' bouqets during the reception. This wedding was full of tiny little touches that came together to make a one-of-a-kind event. Everyone agreed the day was simple, God-honoring, and sweet, which suited Alysha and Todd perfectly. If you are interested in an event by Song of My Heart, or know someone who might love help with creating their own invitations or favors, please let me know. I have lots of experience with stationery and special events with anywhere from 20-200 people or more. I love weddings and would be happy to assist you at any level that you desire help. Update: At this point Weddings by Song of My Heart is only accepting personal friends, members of my church, and family members as wedding clients. Thank you for understanding. All the invitations are out now, and the big day is fast approaching! I've been waiting to show you these elegant invitations from the wedding I am doing in May. Kerri and Tim have been delightful to work with, and I have so enjoyed pulling together a wedding with their ideas, my experience, and our desire to create a beautiful and meaningful day that honors the Lord. The invitations set the stage for the whole production, so we went all out, combining Kerri's themes of lace and peacock feathers with the formal black and white and pops of cobalt blue and kelly green. 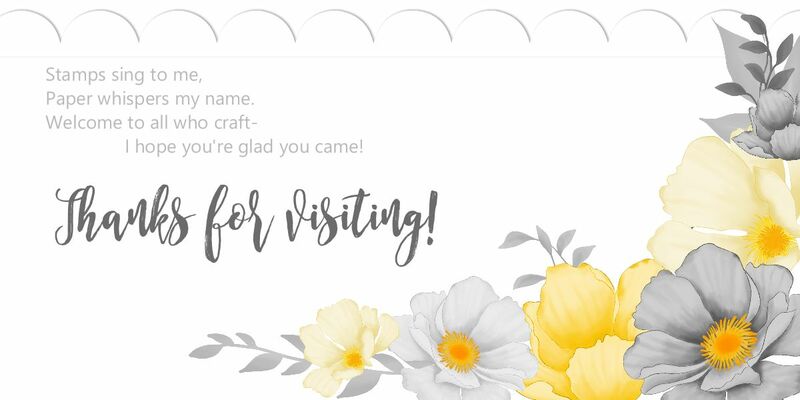 Do to the number of invitations needed and the time crunch, we started with the base card made in the My Digital Studio program using the Hello, Doily stamp brush set and creating our own monogram. Once the digitally-created bases arrived from the My Digital Studio print services, I added a peacock feather and a cobalt blue organza bow to each card, using Mini Glue Dots. I wish the photos caught the iridescence and intensity of the colors in the peacock feather a little better. It was a real WOW! Inside the invitation, I'd used the Delicate Doilies stamp brush set to add custom touches to the formal wording and continue with our lace theme (top photo). We also made reception cards to match. I love how simple and professional My Digital Studio made the entire process! It combined complete control over the design with professional-quality printing and guarantees, and all using Stampin' Up's wonderful art images and any font style we wanted. Plus, the files are stored for up to six months from the time of upload, so if more invitations are needed, they can be gotten in a hurry. I will definitely be steering future SOMH brides towards this option! One final touch personalized the crisp white envelopes that our guests received in the mail... besides my own cursive, as I hand-addressed them myself due to special circumstances (did I mention I am a FULL-service wedding coordinator?) ...the groom's custom-made return address stamp was hand-stamped in kelly green ink to compliment the wedding colors. We've gotten great feedback on these one-of-a-kind invitations! Be sure to visit SOMHS in May to see more pictures of how we worked this elegant peacock feather theme throughout the wedding day. I was delighted when these Flourish Designer metal frames came up on the Clearance Rack, just in time to order them for the wedding place cards. Click here to view the Clearance Rack--can't say the frames will hold out, but you might find all sorts of other goodies that would coordinate with your event! Weddings are all about details... big ones, like finding the mate God has planned for you, and little ones, like setting up the reception site to best direct traffic flow and prevent backlit photographs. A good wedding coordinator can really help you with this! You'll be thankful over and over again to have a pro looking out for the million little details for your big day. Love the monogram initials above the head table, hung with fun polka dot ribbons. Little things like that really help personalize a wedding. I think everyone agreed that a favorite moment of the reception was when the bride and groom gave an impromptu recounting of how they met years ago, then found each other again this spring. This time, it really clicked! Their joy in and care for each other was very evident. Here's a shot of the head table for Scott & Christine's summer wedding. We were lucky to have fabulous silver candlelabras from the groom's mother to compliment the silk flower arrangements I made to go over the tulle and lace tableskirting. The morning of the wedding, I inserted real roses into the arrangements next to the peonies, so they smelled as pretty as they looked! Lots of other details came together for the reception. Here's a shot of one of the tables, with the silverware wrapped in napkins in the bride's color. Each table had a different centerpiece--some had a candlescape, others had a flower arrangement with votives. It all tied together because of the color scheme and the candles. The tables that were reserved for special guests had little signs in small photo frames to help direct the guests. Favors are one of the first things I ask the bride and groom about, because you can really say a lot about a couple based on their little take-home gift to the guests. Scott and Christine narrowed it down to three different designs out of six I showed them, and we ended up making all three. We die-cut the boxes in our color using the Big Shot, then I filled them all with Bliss dark chocolate squares in a little custom-die-cut scalloped circle of tulle. One last special touch for the reception... I always like to think about the kids at an event like this, and what they are likely to do when bored, overtired, and sugared up. We knew there would be a LOT of children at this particular wedding, so I covered a kid-size table with white wrapping paper and provided crayons. It was a hit! And it helped entertain the young children of the bridal party during the long photography sessions. Weddings really are all about details! I still have more ideas to show you--stay tuned for ceremony decor and pictures of how we took a busy auditorium and turned it into a serenely elegant wedding stage. I designed this invitation for Scott and Christine's summery, hot-pink and daisy-themed wedding. They wanted simple but elegant, and they needed it QUICK since their schedules dictated a mere six-week engagement. The invites set the tone for the whole wedding, so we were able to get that settled right away. We created this classic horizontal gate-fold invite with a raised, embossed sentiment, die-cut daisy and fun polka-dotted scalloped ribbon and a matching stamped envelope. Inside was the crisp Whisper White invitation and a coordinating reception card. The bride and her friends assembled the invitations in a fun, marathon session under my supervision. Song of My Heart combines the best of both digital design and traditional papercrafting for an excellent option to get a custom-designed, one of a kind invitation at a very reasonable price. I can make them for you for a small fee per invite, or we can put them together with your friends and family. There's nothing "homemade" about these hand-crafted beauties! Here's another way we worked daisies into the actual wedding. The groom's friend Cheryl Naber created this beautiful, trendy cake in their colors. It was also totally scrumptious! Each layer was a different flavor. I also designed a hanging backdrop of polka-dotted ribbon with random large daisies for behind the cake table. It was a quick and inexpensive way to dress up a plain white wall, and it ensured that the photos taken in front of it were absolutely adorable. This week I had the privilege of helping two dear friends with the ceremony that marked the beginning of their lives together. It was just a charmed day. God really blessed us with perfect weather and brought all the millions of details together. Six weeks ago, the groom asked me, "How fast can you put together a wedding?" And turns out the answer is... pretty fast! I had never coordinated an entire wedding before (usually I just do the stationery, or the flowers, or the reception) and this one turned out to be quite large for our circles. So I was ridiculously busy the last three days, and my dogs are barkin', but I think I am hooked. So... stay tuned for pics from the first ever event under my new venture, Song of My Heart Weddings*! Just to keep you occupied while I recover enough to wear shoes to church tomorrow, here is a little closer look at the match-book fold programs I designed for the event using our color scheme of Melon Mambo. Stay tuned for more... I know I haven't posted a lot of stamp creations lately, but when you see the rest of the wedding pictures, the invites, the favors, placecards, not to mention all the floral arrangements, you'll totally understand why! *Update: At this point Weddings by Song of My Heart is only accepting personal friends, members of my church, and family members as wedding clients. Thank you for understanding.